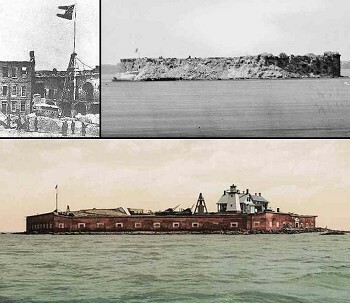 Fort Sumter is a Third System masonry sea fort located in Charleston Harbor, South Carolina. 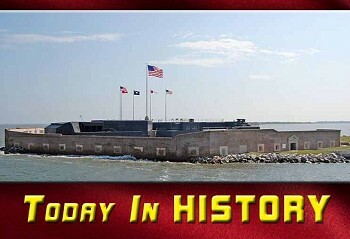 The fort is best known as the site upon which the shots that started the American Civil War were fired, at the Battle of Fort Sumter on April 12, 1861. In 1966, the site was listed on the National Register of Historic Places. Top photo is from 2009. (Middle Left) The Confederate flag flying over Fort Sumter image is a detail from a stereoscopic photograph taken by Alma A. Pelot on the morning of April 15, 1861. (Middle Right) View of Fort Sumter from the sand bar about 1863. Today in History in 1776 the Halifax Resolution for Independence was adopted by North Carolina; in 1811 the first U.S. colonists on Pacific coast arrived at Cape Disappointment, Washington; and in 1861 Fort Sumter, S.C. is shelled by Confederacy, starting the Civil War. 1976 - Anne Rice's debut novel "Interview with a Vampire" is published by Knopf. To see more events, birthdays and deaths listed at Today in History from HistoryOrb.com Click on EXTRAS at the top of the Lincoln Herald home page then click Today in History. 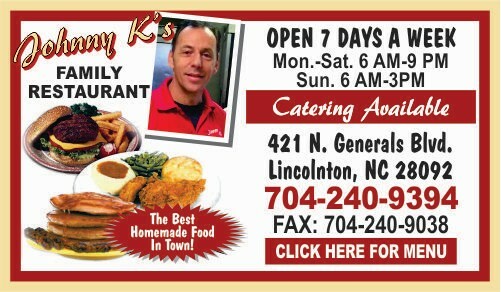 Your Lincolnton-Lincoln County Online News Source for News, Sports, Opinion, Obituaries, Religion, Classifieds, Events, Photos, Community, Coupons, Live Cameras and Police Scanner. Serving Lincoln and surrounding counties including the areas of Lincolnton, Denver, Maiden, Stanley, Alexis, Vale, Crouse, Iron Station, High Shoals and Cherryville and other nearby areas of Lincoln, Catawba, Gaston and Cleveland counties.